High atop a coastal mountain, this huge and largely unknown carving of an ancient face reminds explorers of the Sphinx in Egypt. Mysterious inscriptions give clues in an extinct language. Could this be a link to our forgotten past? 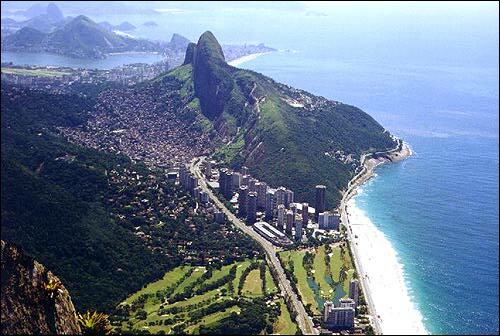 Between São Conrado and Barra da Tijuca, Rio de Janeiro, a legendary mountain with the face of an ancient giant rises 842 meters above the sea level. When Brazil was discovered, Portuguese explorers gave the rock the name of Gávea, because it was a perfect observatory for in-coming Caravels (the ships used by them to cross the ocean and get to the American continent). 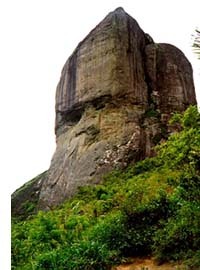 But Pedra da Gávea, an enormous rock surrounded by native, exuberant vegetation, has enticed the minds of both the public and historians over the centuries. Its face looks like a carved figure, and there are ancient inscriptions on one of its sides that couldn’t possibly have been made by nature. The origins of those carvings have been discussed over the years, but no one can prove who made them and why. According to Pedro Lacaz do Amaral, an experienced climber-guide of Live to Climb that climbed the rock a number of times, the rock is supposedly the burial place of Phoenician king. To support this theory, he sent us clippings of very reputable and popular magazines and newspapers, which covered the various attempts to discover such grave and the real story behind the legend of the Pedra da Gávea. According to him, this legend is well known among Brazilians and he, too, thinks the engravings couldn’t have been made by nature alone, as some experts say. It all starts in the XIX century. Some “signs” on the side of the rock called the attention of the emperor, D. Pedro I, although his father, D. Joáo VI, King of Portugal, had already received a report from a priest telling him about the strange marks, which dated back to before 1500, when Brazil was discovered. 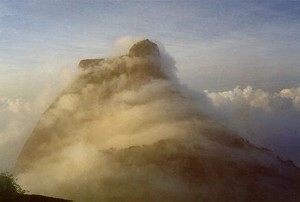 Until 1839 official research was conducted, and in March, 23rd, in its 8th extraordinary section, the Geographic and Historical Institute of Brazil decided that the Pedra da Gávea should be thoroughly analyzed, and ordained then the local study of the site of the inscriptions. A small commission was formed to study the rock, but some 130 years later, O Globo, a major and very reputable newspaper, questioned such commission, asking if they really climbed the rock or simply studied it using binoculars. The report given by the research party said they “saw the inscriptions and also some depressions made by nature”. However, anyone seeing those marks closely will agree that no natural phenomenon could ever have caused those inscriptions to appear. After the first report, no one talked about the rock again officially until 1931, when a group of excursionists formed an expedition to find the tomb of a Phoenician king that was enthroned in 856 B.C. Some amateurish excavations were made with no results. Two years later, in 1933, a climbing club from Rio organized a gigantic expedition with 85 climbers, which had the participation of Prof. Alfredo dos Anjos, a historian that gave them an “in loco” lecture about the “Head of the Emperor” and its origins. On January 20th,1937 that same club organized another expedition, this time with a bigger number of participants, with the goal of exploring the face and the eyes of the head down from the top, using ropes. That was the first time someone explored that part of the rock after the Phoenicians, if the legend is true. In 1946, according to an article written in 1956, the Brazilian Excursionists Center conquered the right ear of the head, which is located at an inclination of 80 degrees from the ground and at a very difficult place to reach. Any mishaps and it would be a 20-meter, fatal free fall for the climbers. This first West Side climbing, although almost vertical, was made virtually “by finger nails”. There, at the ear, there’s the entry of a grotto, which leads to a long and very narrow underground cave that goes all the way to the other side of the rock. The big head with two eyes (not very deep and with no communication between them) and ears; The enormous rocks on the top of the head which resemble a sort of crown or adorn; An enormous cavity in the shape of a portal in the north-east part of the head that is 15 meters high, 7 meters wide and 2 meters deep; An observatory on the South-east part like a dolmen, containing some engravings; A culminating point like a small pyramid made of one single block of stone on the top of the head; The famous and controversial inscriptions on the side of the rock; Some other small inscriptions resembling snakes, sun-rays and etc, located throughout the top of the mountain; The site of a supposed nose, which would have fallen off long ago. It is known today that in 856 BC Badezir took his father’s place in the royal throne of TYRO. Is the Pedra da Gávea the grave of this King? The picture on the left shows what the sphinx would have looked like when it was made. Other sites were found in Niterôi, Campos e Tijuca that suggest that the Phoenicians were indeed there. In an Island on the coast of Paraéba, another state of Brazil very far from Rio, cyclopean rocks and ruins of an ancient castle with enormous rooms and extensive corridors and passageways was found. According to some experts the castle would be a relic left by the Phoenicians, although there are people that contest such conclusions. Robert Frank Marx, an American archeologist interested in finding proofs of pre-Columbian navigation in Brazil, started in October, 1982 a series of divings in the bay. He wanted to find a sunken Phoenician ship and prove that the Brazilian coast has been, in remote times, visited by oriental civilizations. Although he didn’t find such vessel, what he encountered there could be considered as a valuable treasure. Three vases were found. One remained with José Roberto teixeira, the diver who found the vases, and the other two went to the Marines. The pieces, with capacity to hold 36 liters, are under the guard of the Brazilian government in secret location. The “portal” found on the left side can be seen from 800 meters bellow could be the entry to such world. There are stories about climbers seeing lights coming out of the gaps around the inner edges of the supposed big door of the portal that blocks the way to Agarta. Some say that the rock is protected by independent cosmic powers that belong neither to the divine nor the evil forces known to men. In 1937 two scientists were submitted to a clinic after spending the night at the rock, where they swear they saw a strange green light coming out of the gaps around the portal, from where they saw many human statues inside. All those theories, and the fact that the rock is a champion in number of deaths among climbers, have aroused suspicions that the tomb of the Phoenician king with all his treasures may indeed be inside the rock. The death rate, which is explained by the total lack of precaution of amateur climbers, would be the toll of the curse placed upon those who dare violate the Kings burial site. 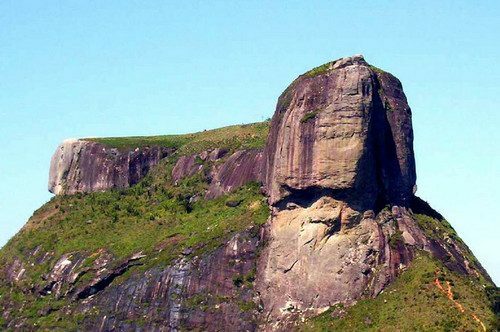 Although there is solid evidence that the rock was indeed a mark of some sort and there are many parts of it that deserved a more detailed study, the Pedra da Gávea stands as a place for hikers and climbers, and sometimes as a hideaway for outlaws. 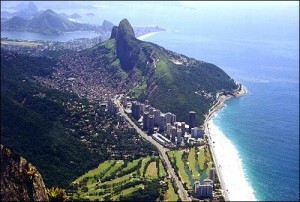 Its view, one of the most beautiful panoramas of Rio de Janeiro, is a privilege of those who dare defy gravity. Whether it was once the tomb of Badezir or the entry to Agarta, it is now just another site for Eco-tourists, and a not so well explored one. But the mystery of the rock will always be part of the lives of the Cariocas. There will always be someone to ask: Who would the authors of such a grand monument be? Why did they build it? Would they be the same as the people that sculpted the Nazca Lines? Or built the submerse walls of Bimini and the Bahamas? Would the builders have been Phoenician? If so, how did they manage to cross the seas to get here? The mystery remains, while the face of a hidden giant keeps watching the sunrise as if waiting for someone to unveil its secrets. Any volunteers? Many thanks to Pedro Lacaz do Amaral, who sent us all the written material used as reference for this article and many beautiful pictures of the rock and its surroundings; and to the Live In Rio site, which let us use this magnificent image. Between São Conrado and Barra da Tijuca, Rio de Janeiro, a legendary mountain with the face of an ancient giant rises 842 meters above the sea level.